Sensing, environmental screening, and real time monitoring of biological molecules, toxic metals, and hazard materials at very low concentrations have gained considerable interest to date. Significant developments in reliable and economical analytical monitoring methods that are fast, portable, and cost- effective have been reported. To control the high-performance niche in environmental monitoring of hazardous and biological species, development of sensors for selective recognition and on-site monitoring has received growing demand worldwide. 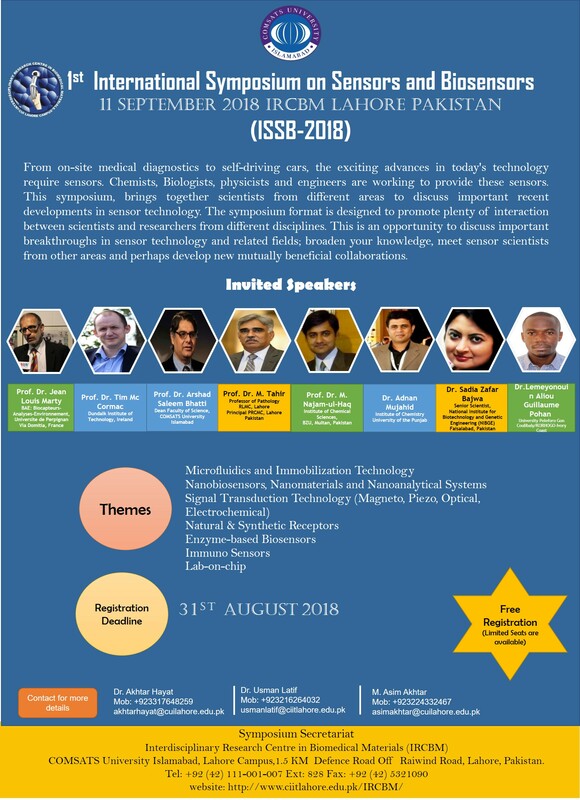 This symposium, provides an excellent opportunity to interact in terms of knowledge and mutual collaborations with leading scientists from different areas to discuss important recent developments in sensor technology.